A short introduction to the course and instructor. In this lesson, we discuss what sets and set operations are. We talk about sets, number of elements, subsets, finite and infinite sets, complement, union, intersection and difference. We also learn to represent sets in a Venn diagram. In this lesson, we look at set problems and how we can solve them using Venn diagrams and the inclusion exclusion principle. In this lesson, we consider number sets, such as natural numbers, integers, rational, irrational and real numbers. We look at the subset/superset relationships between these sets and decide which number set(s) a given number belongs to. In this lesson, we work with properties, such as the closure property, the commutative property, the associative property, the distributive property, the identity element, the zero product property and the equality property. In this lesson, we talk about the inverse property of addition and multiplication. We learn to find additive and multiplicative inverses. Then, we calculate numerical expressions with integer and rational exponents. In this lesson, we work with propositions and their truth values. We look at compound propositions made with negation, conjunction and disjunction. We cover de Morgan's laws and truth tables. In this lesson, we look at conditional statements, their inverses, converses and contrapositives. We also define biconditional statements and use truth tables and properties to prove statements and simplify expressions. This exam covers lessons 1 through 8. The duration is 60 minutes. Good luck! 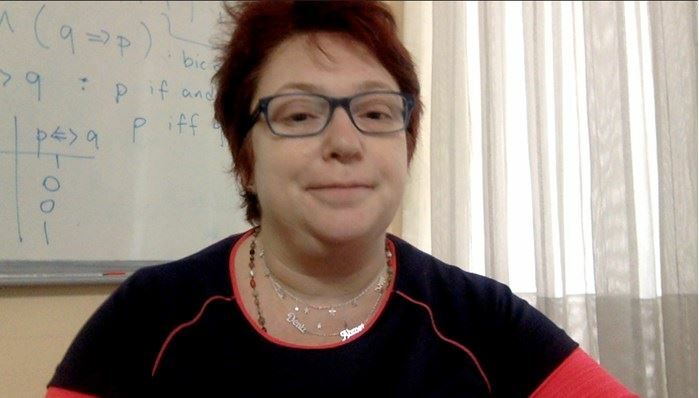 In this lesson, we learn about variables and like terms. We express verbal contexts with expressions and equations and learn to simplify algebraic expressions bu combining like terms. 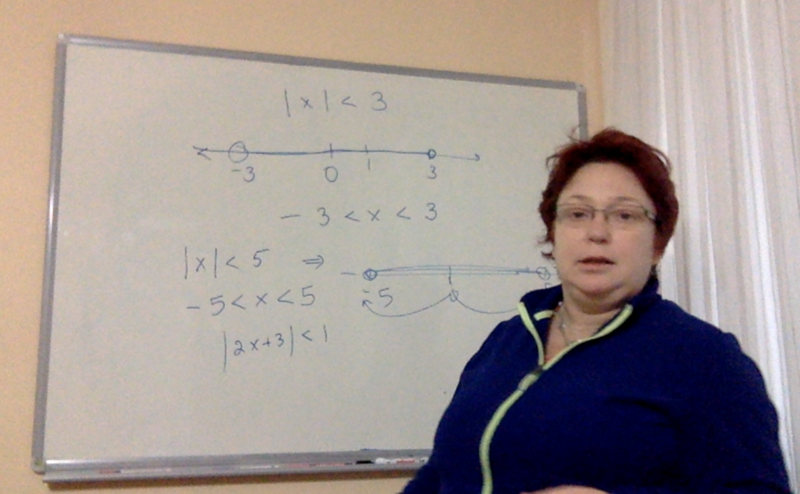 In this lesson, we solve multistep linear equations. We also look at finding coefficients given a solution, and situations where there is no solution or where any real number is a solution. 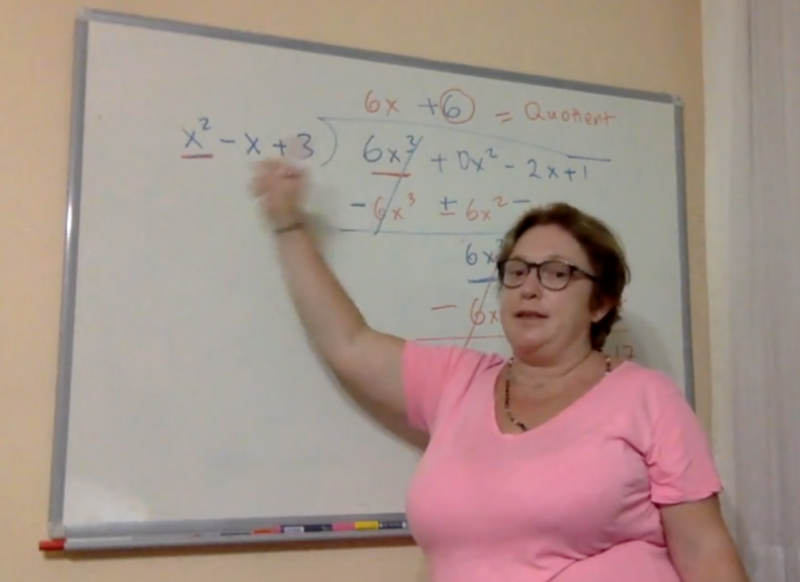 In this lesson, we solve multistep inequalities and pay special attention to situations where the inequality sign must be reversed in the working of the solution. In this lesson, we solve word problems by setting up and solving multistep linear equations. In this lesson, we solve word problems by setting up and solving multistep linear inequalities. In this lesson, we look at the definition of absolute value and formulate some simple expressions from this definition. In this lesson, we work on solving absolute value equations. We also discuss extraneous solutions. In this lesson, we look at the different types of absolute value inequalities and we learn how to solve them. In this lesson, we work with slope and intercepts to write equations of lines. We also graph lines given their equations. In this lesson, we graph and solve systems of linear equations in two variables. We go over the methods of substitution and elimination. We also create a system of linear equations from a word problem. In this lesson, we derive systems of linear inequalities from word problems. Then, we graph and solve these systems of linear inequalities in two variables. This exam covers lessons 9 through 19. The duration is 60 minutes. Good luck! In this lesson, we introduce key terms, such as degree, term, coefficient, related to polynomials. We perform addition, subtraction and multiplication on polynomials. In this lesson, we use the division algorithm on polynomials. In this lesson, we factor out the common factor and use identities and other strategies to factor trinomials. In this lesson, we learn to factor sums and differences of cubes. In this lesson, we learn to add and subtract rational expressions. In this lesson, we learn to multiply and divide rational expressions. In this lesson, we learn about properties of angles in triangles, in polygons and on parallel lines cut by a transversal. In this lesson, we work with the triangle inequality and the Pythagorean theorem to find missing side lengths in a triangle. In this lesson, we work with the 30-60-90 triangle and the 45-45-90 triangle to find missing side lengths. In this lesson, we work with congruence and similarity postulates and theorems to prove statements and find missing parts of triangles. In this lesson, we use the area formula to compute the areas of various types of triangles. We also learn Heron's formula. This course builds on the math skills you have developed in middle school to provide an integrated comprehension-based and problem-solving centered approach. This math course covers the entire ninth grade! Over 9 hours of video-lessons! The solutions to online quizzes, midterm exams and final exam are uploaded under Resources. This video-course is primarily intended for 9th grade students who would like to enhance their mathematical skills and knowledge in the integrated Mathematics curriculum. Students taking this course will need to have completed Math for 8th grade or an equivalent Math course prior to enrolling in this course.